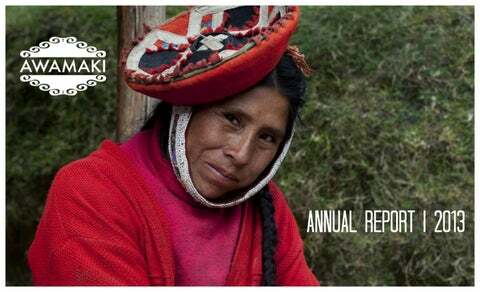 Awamaki collaborates with rural Andean communities to create economic opportunities and improve social well-being. We are a growing and sustainable social business that gives capacity-building and market access opportunities to poor Andean women. We believe that empowering women transforms communities. Poor women know what their families need. Given the opportunity to earn an income, they invest in their children, their homes, their farms, their businesses and their communities. We couldnâ&#x20AC;&#x2122;t do it without your help. We hope the stories of these women inspire you as they do us. A Pathway to Self-Sufficiency in Women-Owned Businesses. Our approach to ending poverty goes beyond market access. We teach skills to incubate and launch powerful, sustainable, women-led businesses that link with international markets. We call this our Impact Model. The Impact Model charts a course for poor, rural women’s cooperatives to attain independent business leadership no matter their education or skill level. We offer structured benchmarks and challenging milestones. Cooperatives advance through a program of intensive capacity-building combined with increasing business responsibility and market access. The Impact Model includes: •	Quality standards with teaching tools that empower artisans to implement quality control •	Business Administration, like taking meeting attendance and planning and managing production calendars •	Financial Management, like opening a bank account and to purchasing materials and setting prices •	Market and sales education, including facilitating artisans’ first direct linkages with international buyers	Our goal is to graduate women’s cooperatives as independent, successful small businesses. The model is replicable and scalable and will allow us to increase economic opportunities for cooperatives across the region. Charitable contributions fund the capacity-building programs that make the Impact Model possible. Donations large and small allow Awamaki to increase economic opportunities for cooperatives across the region. Awamaki creates market access for more than 130 women, through our fair trade store in Ollantaytambo, sustainable cultural tours, and international retail partnerships. allowing them to buy nutritious food for their families, send their children to school, access health services, make improvements to their homes, and save for the future. 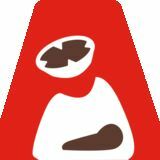 One Artisan’s Story; Marcelina The Women’s Cooperatives Program organizes cooperatives and provides access to market for Quechua artisan women. These cooperatives produce hand-woven textiles, knitwear, hand spun alpaca yarns, and sewn products. Marcelina is 23 years old and lives in Kelkanka, a tiny village that sits 13,000 feet above sea level. Marcelina attended two years of primary school but does not read, write, or speak Spanish. With no electricity and about three hours from the nearest town, Marcelina and her family are isolated from modern markets and amenities. Before working with Awamaki, Marcelina’s family subsisted on the potatoes they farm. This year, after participating in Awamaki’s quality workshops, Marcelina began selling her textiles in Awamaki’s retail store in Ollantaytambo. “I use my income to buy food at the village Sunday market. Now I buy carrots, beans, onions, rice, sugar, salt and oil,” said Marcelina. Visit Plan a trip to peru. volunteer or visit the communities to learn about andean life directly from our artisans. Awamakiâ&#x20AC;&#x2122;s work to empower rural women, connect them to market opportunities, and transform their lives is made possible through tax-deductible donations. Support our work in Andean communities by making a donation via our website or personal check sent to the address above.